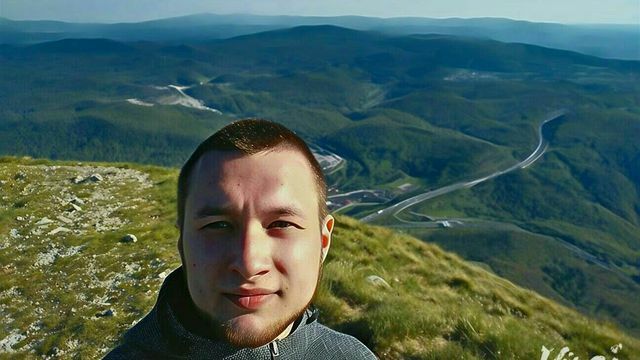 2ТМ > Interviews > Yaroslav Korchak: I Easily Combine Sport and Studies! 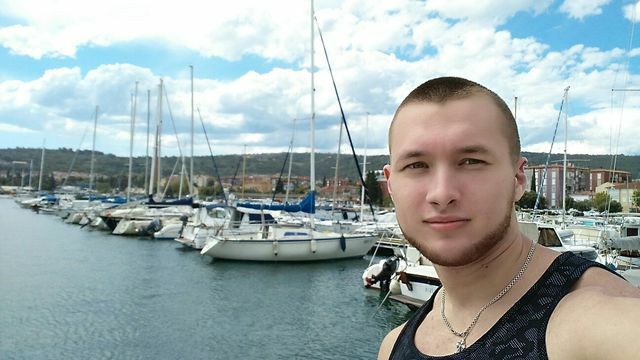 Yaroslav Korchak: I Easily Combine Sport and Studies! – Good afternoon, Yaroslav. First, please tell us a little bit about yourself. What are you interested in? At what faculty do you study? – Hello, my name is Yaroslav. I’m 21 years old. I was born in a wonderful city of Kharkiv (Ukraine). I like boxing, MMA, football, wrestling. I’m currently doing powerlifting professionally. I also take a great interest in motorsports. I spend most of my time studying new innovations in the automotive industry. I adore restoring old cars. I study on the Mechanical Engineering programme. In my studies, I mainly focus on designing and modelling of subassemblies. – Why did you choose this programme? – It all started when I was sent to BMW Motors for practice. Every day I received a lot of information and gradually got involved in this process. After graduating from the Kharkiv National Automobile and Highway College, I wanted to work as an engineer at the BMW headquarters, but for this, I needed a diploma quoted in Europe. – Why have you chosen exactly Slovenia? – The choice fell on Slovenia because here it takes you only 1 month to study the language. The tuition fee is acceptable and, of course, Slovenia is close to Germany, which makes it possible to visit the places I dreamed of on vacation. – Do you like Slovenian education? Why? – If we compare it with the Ukrainian education, then the differences are minimal. After we complete studying a certain topic, the learnt material is reinforced at practice. Most of all I like the fact that there are more practices than theories. Thereby, it is possible to contact new people, learn to overcome fears in communication, and the technical language is mastered faster. After the end of the practice, each student makes a presentation, where he or she shares the gained knowledge with groupmates. – Tell us about your first impression of the city you live in and the Slovenes. Have you made friends with anyone? – The city of Postojna at first sight seemed very archaic. Every day, I got to know it better and better, and each day I liked it more and more. The city is very cosy and peaceful. No one is in a hurry. There is no bustle, as if time freezes. People here are very friendly, cheerful, and always ready to help. Two weeks later, I found a gym where I met wonderful people, sportsmen. – Was it difficult to learn Slovenian? Or do you communicate with everyone in English? – Not exactly, as it is very similar to Ukrainian and Russian. I studied it for a month, and I learned the technical language when practicing. I communicate in Slovenian as in my native language. It’s pretty simple and interesting. – I studied at the Kharkiv National Automobile and Highway College. One day, a 2TM employee came to us and told about the possibility of getting an education in Slovenia. It seemed interesting to me. I consulted my parents and then learned from 2TM more about education abroad. – How did the company help you? Are you glad that you contacted us? – I am very pleased with the 2ТМ Company, namely with the employees who work in it. They helped me with everything, with the registration of documents, communication, settlement, adaptation in a new city. I am glad that I met such people on my life’s journey. – Tell us about sport. It takes a significant place in your life. How do you manage to combine study and sport? – I have been fond of sports since I was 7 years old. I started with football and spent 9 years playing it, afterwards I moved to MMA, then boxing, and American football. Now I’m doing powerlifting, which I quickly succeeded in. I win prizes, in both Ukraine and Europe. How do I manage to combine sport with studies? It’s very simple. A person finds time for everything that brings him or her pleasure. In my case, this is sport, as it helps me relax after classes. – Do you like the Slovenian cuisine? Are there any preferences in eating? – To tell you the truth, I did not try it too much. There are not so many Slovenian dishes as such. They mostly have Italian and German cuisine, but I prefer to cook myself, because Ukrainian cuisine is unmatched. – Do you use student bons (bonuses)? Maybe you can advise some restaurants that attracted you especially with their dishes. – I use bonuses, but very rarely, mainly in Atriji, which is in Koper. – Do you use other student bonuses? – Yes, of course, there is a sports card that allows you to play at the football stadium for free. It gives a discount for other kinds of sport as well. – Tell us whether you manage to live an active student life. Or do you just study and do sports? – Of course, every weekend my friends and I go hiking to the mountains. We go to neighbouring countries. Every week we discover new places with a beautiful view of nature.